Home Metro News Have You Registered For FUNAAB BUSINESS SUMMIT / BUSINESS PLAN CHALLENGE 2014? 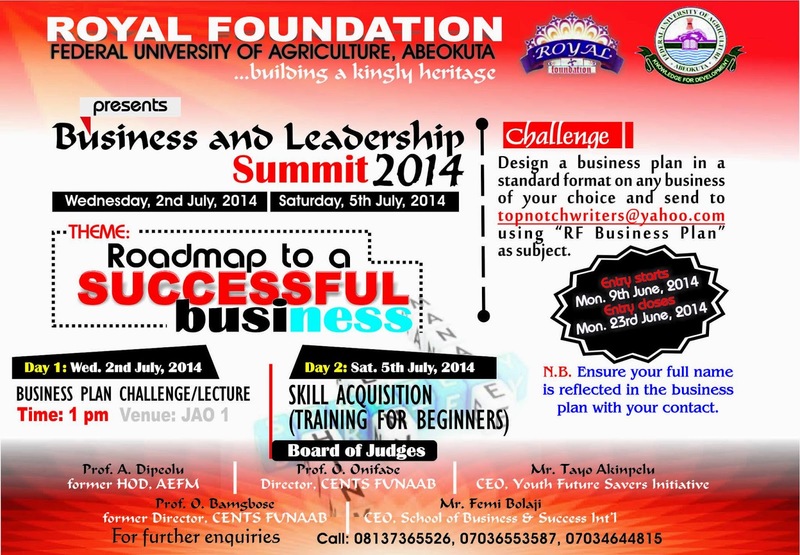 Have You Registered For FUNAAB BUSINESS SUMMIT / BUSINESS PLAN CHALLENGE 2014? Tagged: ROAD-MAP TO A SUCCESSFUL BUSINESS. Entries will be received between Monday, 9th June, 2014 and Monday, 25th June, 2014. No late entries will be accepted. Winners of the Business plan challenge will be rewarded with cash prizes for their start-up capital, opportunities to enroll in the business firms of the judges as intern and other great rewards. On this day, participants that enrolled for the business plan and have submitted their entries on businesses that they intend to create, If shortlisted will be given some minutes to present this idea before experts in the field. At the end of this session, the winner will emerge and be rewarded with a token as a start up capital for his/her proposed business and other rewards might also be considered at the discretion of the team and league of judges. Prior to the business plan challenge, a lecture by President, School of Success and Business International, Mr Femi Bolaji on Roadmap to a successful business. Interested participants will participate in the skill acquisition especially those that participated in the business plan challenge. 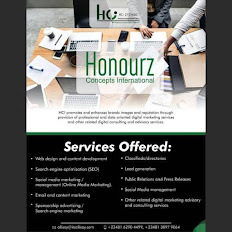 They will most especially be trained in the context of the skill of which they used in developing their business plan. The event is scheduled to be absolutely free for students that would be in attendance. Further details will be passed across to shortlisted participants.